This pack first issued in the mid 1980's. 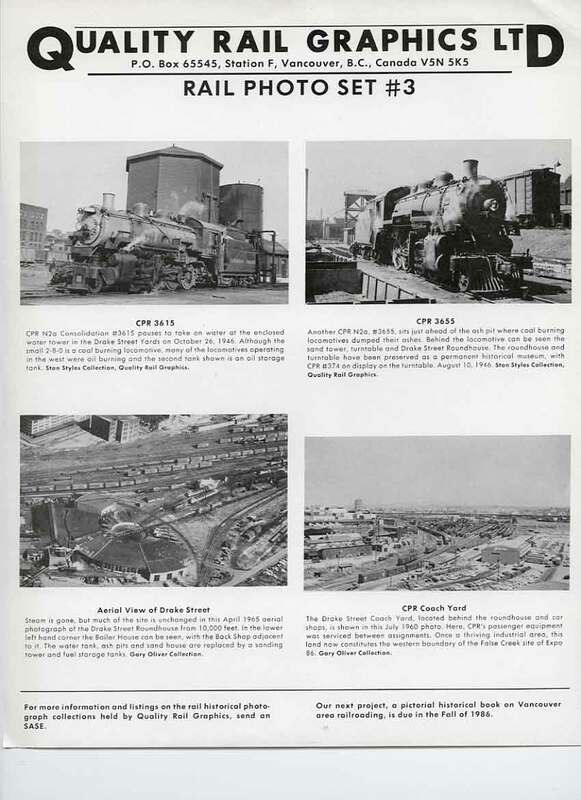 Pack contains four 8" x 10" glossy photos taken at the Canadian Pacific Railway's Drake Street Roundhouse and Coach Yard in Vancouver, B.C. Photos show the envelope and its contents and a sample of a 8" x 10" glossy in the pack. The 4 photos span 20 years from the 1940's to the 1960's. 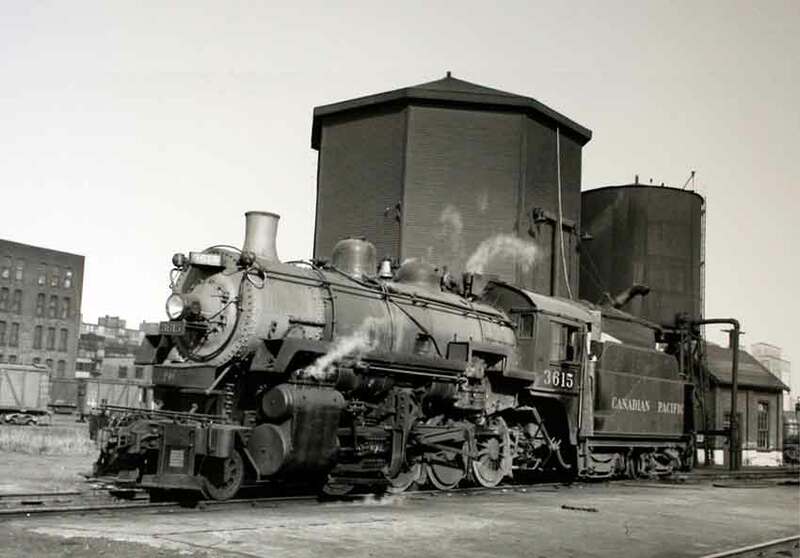 Sample photo is of CPR #3715 taking on water from the enclosed water tower. Some photos from the Stan Styles Collection. Will be mailed in a cardboard backed envelope. Buy in confidence from a 100% rated seller on ebay. Please see other items available.